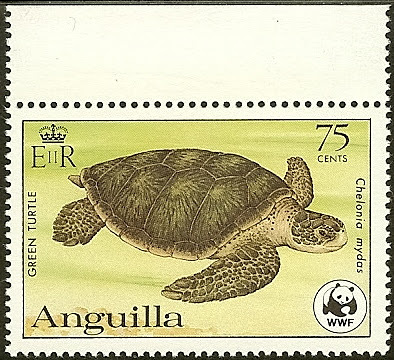 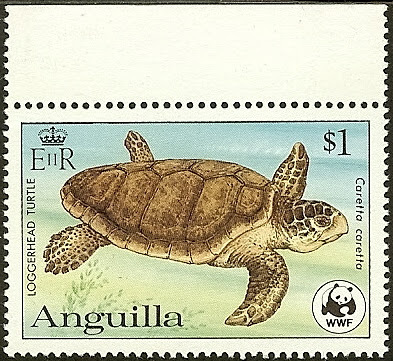 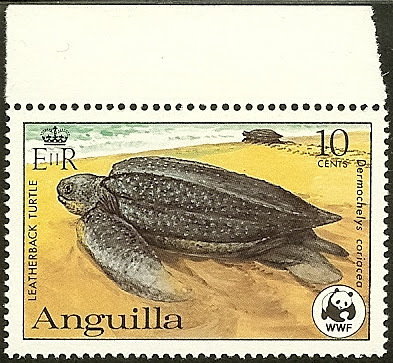 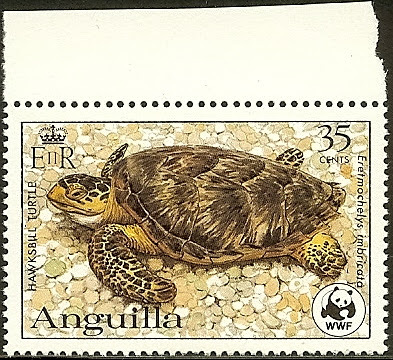 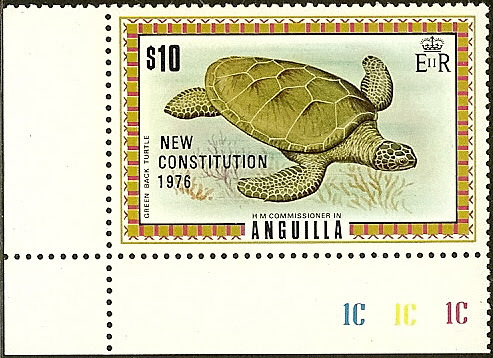 $10 1976 Chelonia mydas This is Scott Anguilla #160 o/p in black: "NEW CONSTITUTION 1976". 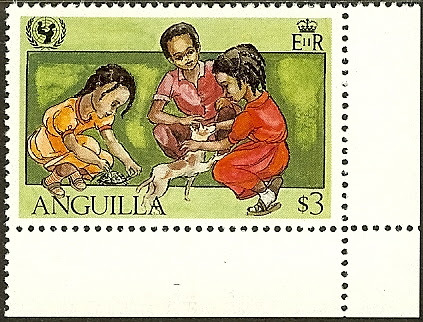 $3 31 Jul 81 Unidentified Tortoise Children playing w/ animals, one of which is a tortoise. 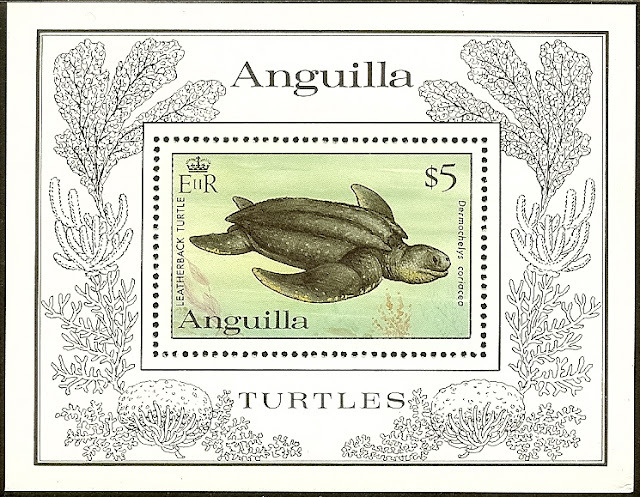 $5 03 Aug 82 Cartoon Turtle World Cup Soccer s/s. 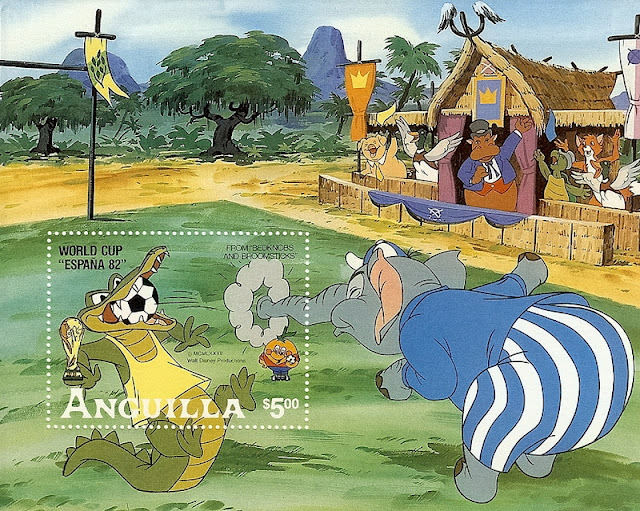 There is a cartoon turtle among the spectators at a soccer match. 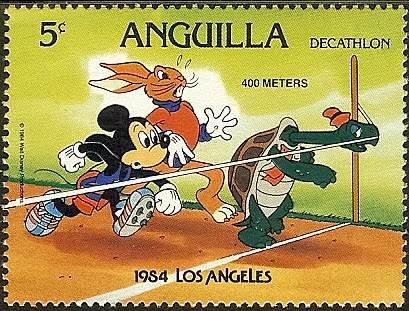 5c 20 Feb 84 Cartoon Turtle Olympic 400 meter dash w/ turtle. 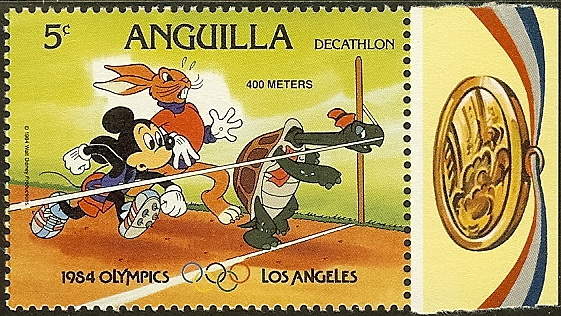 5c 24 Apr 84 Cartoon Turtle Same as Scott Anguilla #563, but w/ Olympic rings. 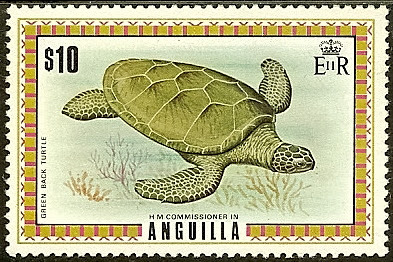 15c 24 Aug 98 Unidentified Sea Turtle Small turtle in painting titled "Treasure Island". 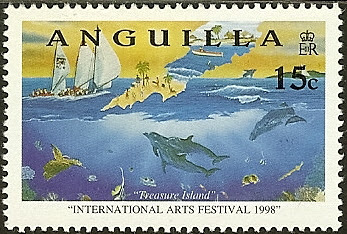 Inscribed "International Arts Festival 1998".